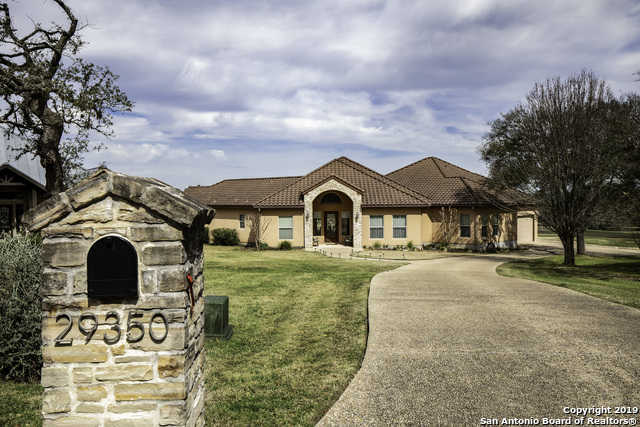 Awesome Golf Course Home on Live Oak Course at Fair Oaks Ranch CC. One Story with 3185 sf, 3 BR, 3 Full baths, with Open Floor Plan Views of the Golf Course. With 20 Tiles and Beautiful Wood floors in the Main Living Areas. This Home is set up for the Entertainer with Cedar ceiling Outdoor Patio w/ over 600 sf. The kitchen has Granite tops, SS Kitchen-Aid and Jenn-Air appliances including Ice-Maker and Wine fridge. Catch the Sunsets every night! A Must See Home ! !